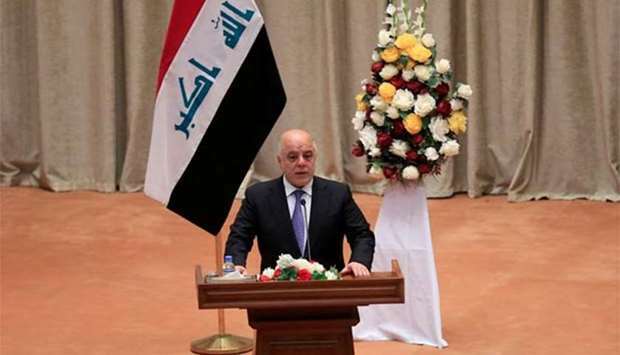 Prime Minister Haider al-Abadi speaks during the first session of the new Iraqi parliament in Baghdad on Monday. 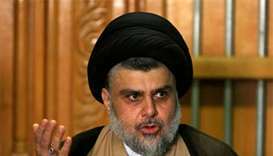 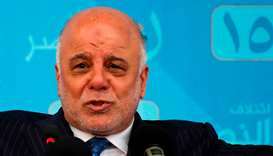 Iraqi lawmakers convened on Monday with Prime Minister Haider al-Abadi and a populist cleric together seeking to form a government and sideline pro-Iran rivals with a deal to create the biggest bloc in parliament. 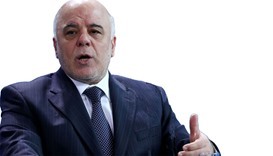 Abadi declared "victory" in December over the Islamic State group after a devastating three-year war against the extremists, who at their height controlled nearly a third of the country. 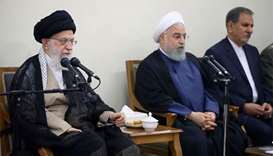 The polls saw a record low turnout of 44.5%, with long-time political figures pushed out by voters seeking change in a country mired in conflict and corruption.